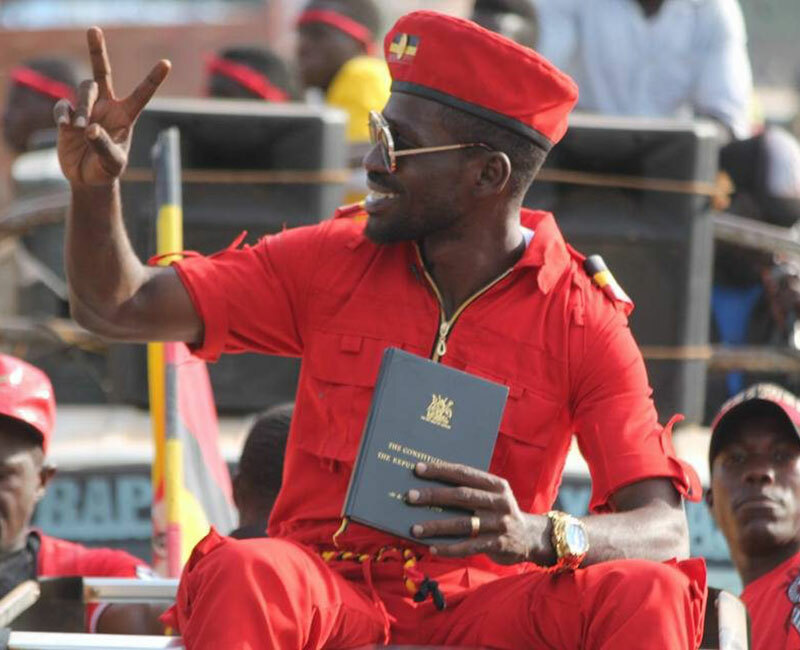 KAMPALA– Kyadondo East MP Robert Kyagulanyi alias Bobi Wine has urged Ugandans intending to be part of Buganda’s Enkuuka End of Year concert to put on any kind of clothes of their wish regardless of red colour being denied. Earlier alone in a press conference held on Thursday 27 at Bulange- Mengo, Moses Lubuulwa, one of the event organizers from Luba Events confirmed that despite the ongoing conflict between Police and Bobi Wine the singer will entertain the Kabaka and his people but red colour will not be allowed inside. “We are not going to allow red caps, ribbons, overalls and any piece of red cloth and these things will not be allowed to go beyond the gate during the security checkup.” He, therefore, requested people to avoid them. Through his official Facebook page, Bobi Wine has said that Ugandans should not be intimidated to put on colours of their choice in their own country. “I repeat, DO NOT BE INTIMIDATED, DRESS THE WAY YOU WANT. This is our country!,” reads part of his post. The legislator says the government is just coward as it’s the one that started a game of politicising through music the time they paid artistes to sing ‘Tubonga Nawe’ but now turned against it after realizing their weakness. Below is Bobi Wine full statement regarding the matter. They politicised music in the first place. They paid artistes to sing tubonga naawe. They wanted music to brainwash people and influence politics in their favour. We also decided to use music to awaken the people and it became too much for them. They realised they had started a game they couldn’t play. Today they want politics to influence music but do not want music to influence politics. Hypocrites of hypocrites. Kati twesange mu nkuuka 31st December, atte tebabatiisatiisa, mwambale nga bwemwagala. I repeat, DO NOT BE INTIMIDATED, DRESS THE WAY YOU WANT. This is our country! Thank you #Snoggie, #Spire, #Ogon and all other talented artists for speaking truth to power through cartoons and satire.